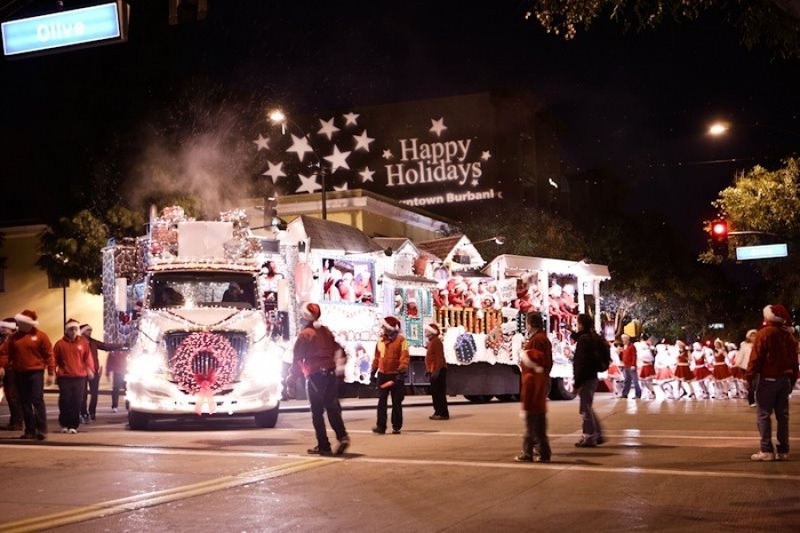 Like many of you, this news hit us hard: "After 34 years of spreading Christmas cheer through the streets of North Hollywood, Toluca Lake and Burbank, the crew at the Magical Christmas Truck has made the difficult decision to hang up its collective Santa hat." For the past month, we've all been faced with the reality that this long-time tradition would end for so many of our friends, families and neighbors. Our family went to work immediately to find a way to save the truck! The original organizers of the event have graciously allowed us to acquire the truck in the hope that we can work together with our collective communities to keep the spirit of Christmas alive! It's the greatest gift we can give to our children and the community we love. Good Morning and Happy New Years Eve Everyone! As I sit here with my family at breakfast chit chatting about 2018, I can’t help but reminisce about the crazy whirlwind of an adventure I tossed us into this holiday season. Sometimes, I just can’t seem to let things go!!! Fortunately, there were about 175-200 of you guys who felt EXACTLY the same way! Yay! Three weeks is not a lot of time to do most things, yet somehow WE worked together and managed to save a holiday tradition for our families, friends and neighbors. I will be forever grateful for your support, hard work, patience and generosity. From the bottom of my heart, THANK YOU! Year 1 is done. I made more than a few mistakes; and, I learned a lot of valuable lessons along the way. Most importantly, I learned to ask for help. I also learned that sometimes, no matter how hard you try and no matter how much effort you give, some things are just out of your control. I tried. I gave it my all. For me, that will ALWAYS be good enough. I’m going to put this to sleep for a while as I kick off the New Year and get myself back into the swing of work! As we head into the summer months, I’ll dust this thing off and start the planning process yet again. Time is on our side next year! Sorry, had to reset the tracker for tonight! Thank you all so much for believing in this crazy operation. Your support and generosity is making this happen tonight! Hope to see you along the route! Happy Friday! We’ve been working 24/7 on backend logistics and everything is coming together quite nicely :) We’re all getting VERY excited and cannot believe Christmas Eve is only 10 days away! We’ve had several traffic and security meetings since last weekend, to determine the safest way to execute this event for everyone. As a result of those meetings, we have no choice but to shorten the parade, and the route, by a few blocks this year. We will still be in North Hollywood, Toluca Lake and Burbank; but, this shortening of the route will effect a few blocks. Given the limited amount of planning time we’re working with (less than 24 days), we just don’t have access to some of the resources we need to sustain an 8hr event this year. Next year, we will have plenty of time to plan accordingly! That being said, if you have made your donation solely with the expectation that this event would come down your street, only to find out now that it is not, I am happy to refund your donation. If that is the case, please email me and I will get that process started for you immediately. Thank you again for your support and encouragement, and please know that we are doing our very best to make this happen for everyone this year. Some things are just out of our control, no matter how hard we try.